Are you (or your kid) curious about the world around you? Google wants to help. It just launched Science Journal, an Android app that helps you perform (and comment on) simple science experiments. 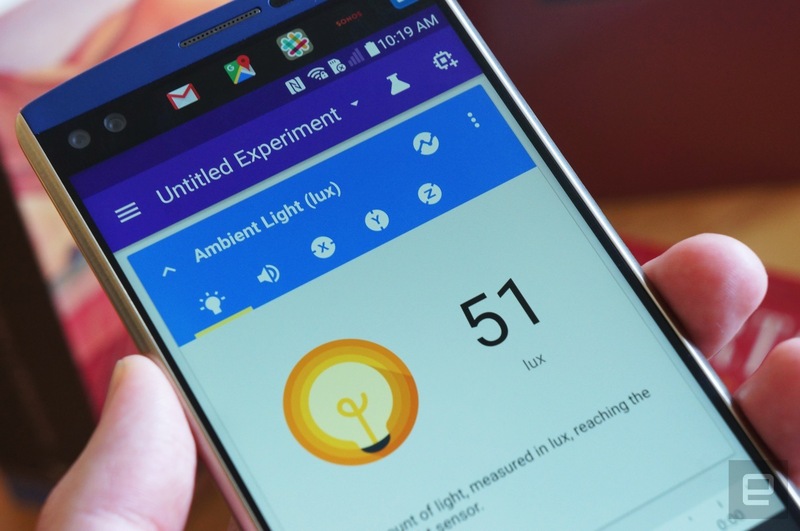 The app can record light, motion and sound levels using only your phone's sensors, letting you study everything from a light bulb's brightness to the acceleration in a jump. It's easy to kick things up a notch, though. You can connect Arduino-powered sensors, and Google is partnering with Exploratorium to offer starter kits to help budding scientists. Science Journal is free, so there's no harm in giving it a try -- even if you're a full-fledged adult, you might learn something.